Do You Have Unwanted Scarring on Your Body? No one wants to live with scars on our body and it doesn’t matter if the scars are from acne, bug bites, or surgery. We just want to remove them and not have them bother us any more. Scars result as a cut or injury to an area of skin and can have a tremendous emotional impact to our wellbeing. Unfortunately, there are no scientifically proven product or technique to eliminate scars completely. However, there are new technologies that can dramatically improve the appearance of scars and minimize their visibility. At Noydeen Beauty, we embrace the use of advanced laser technology to minimize body scars that are noticeable. 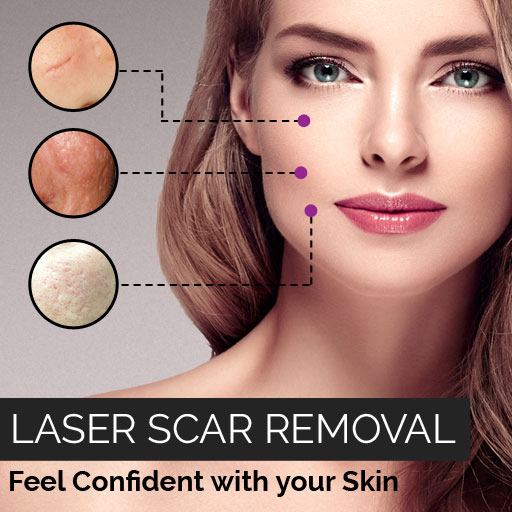 Laser scar removal is a nonsurgical treatment option that’s ideal for clients seeking to minimize the appearance of surgical scars or acne scars on the face and body.